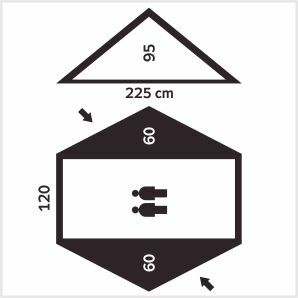 It is two-entrances double-sheet dome tent with a rectangular ground-plan of the floor. 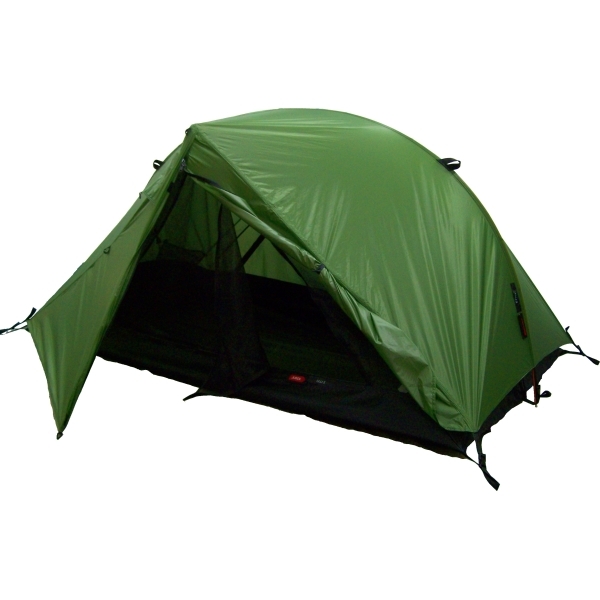 It is suitable for all kind of hiking & outdoor activities. The inner tent is sewn with the floor and is hung on the frame pole with help of hooks and ropes. All inner tent is made of the dense mosquito-net which enables better ventilation & protection against small insects, or the inner tent is made of the standard inner fabric (yellow) with the mosquito-net in entrances only. The flysheet is put over the frame and anchoraged to the floor buckles. In front of the inner entrances the flysheet is prolong and forms two vestibules which can be used both for storage of an equipment and for cooking (with caution). 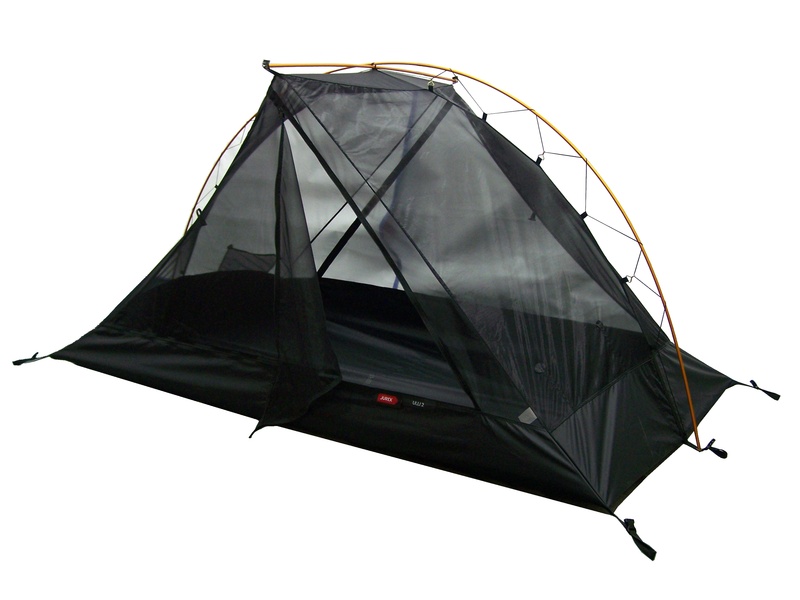 The tent is possible to anchorage with numerous anchorage points of flysheet. There are two air vent at the tops of vestibules. Features: 1. Vestibule which can be used for storage of an equipment (and cooking with caution). 2. Fixed and fast anchoring of the lower corners with ITW buckles. 3. 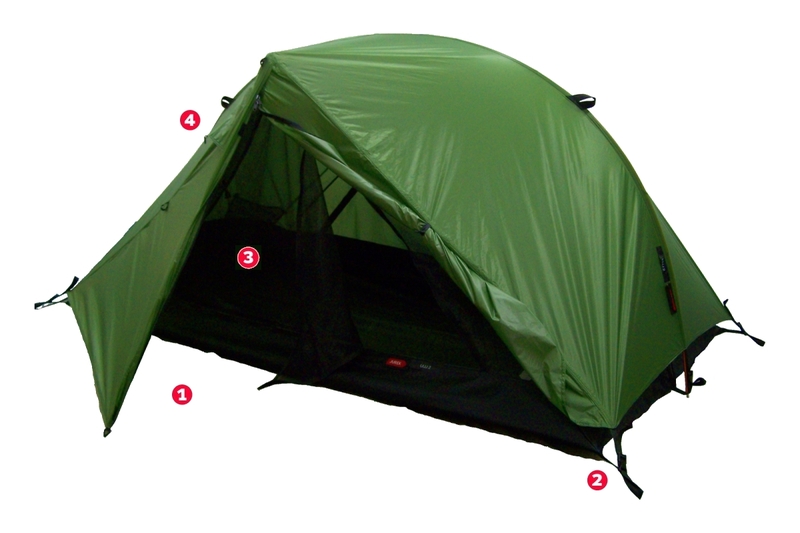 The inner tent is made of the airy&dense mosquito-net fabric. 4. Well-tried protected vents. repair kit (self-adhesive patch & 12 cm Alu repair tube).